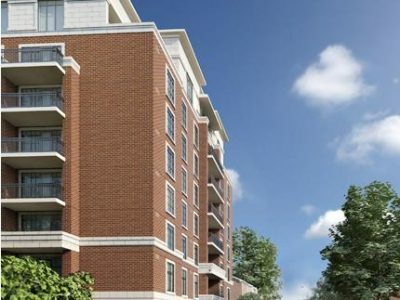 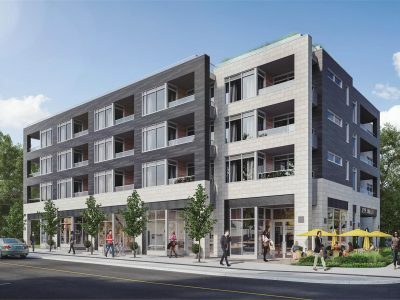 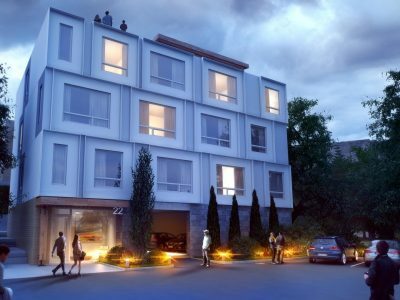 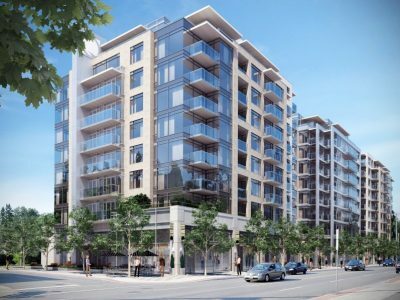 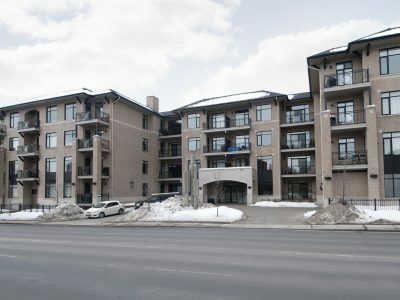 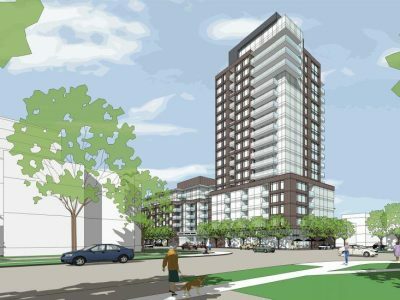 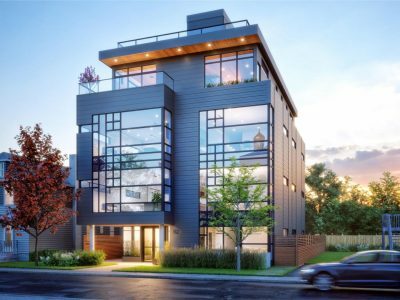 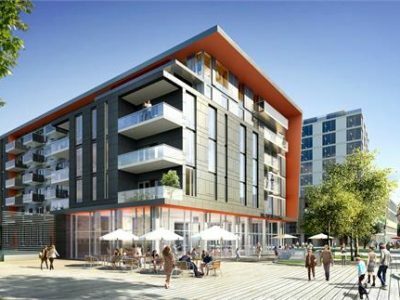 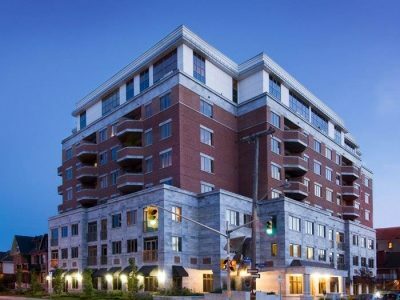 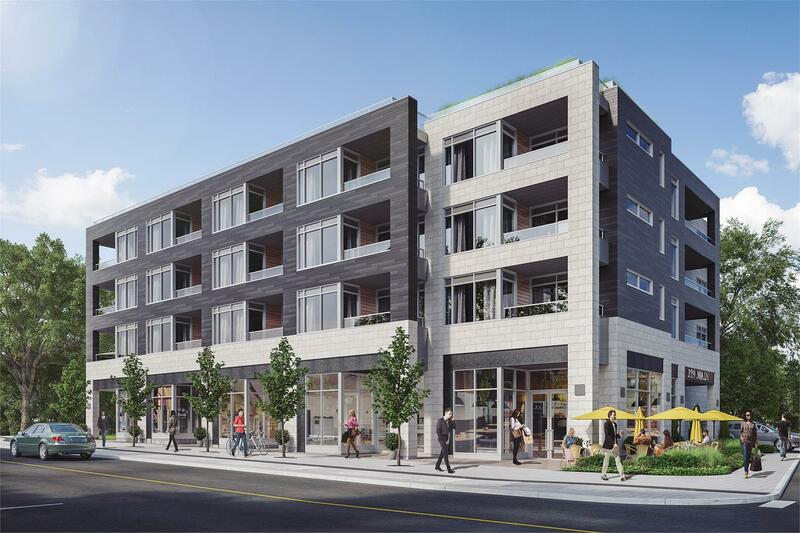 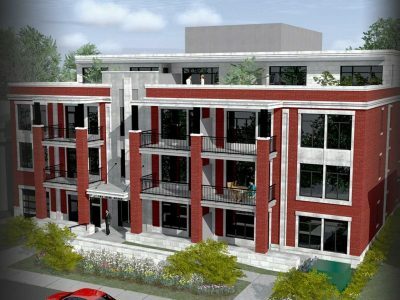 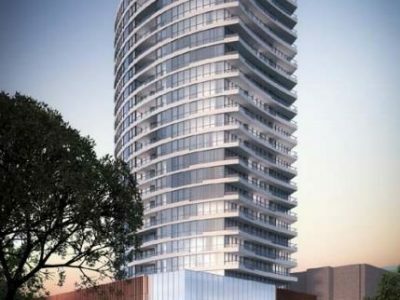 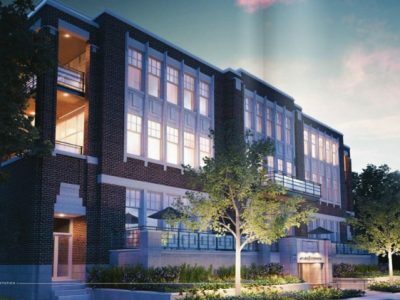 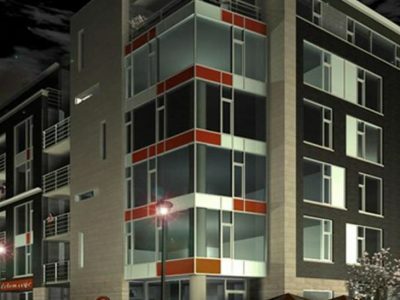 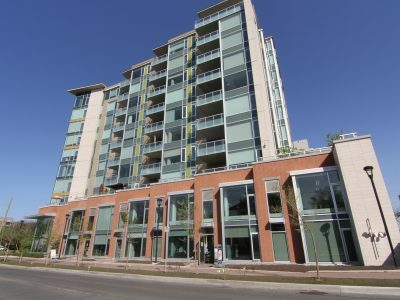 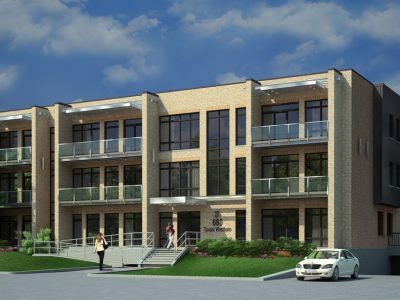 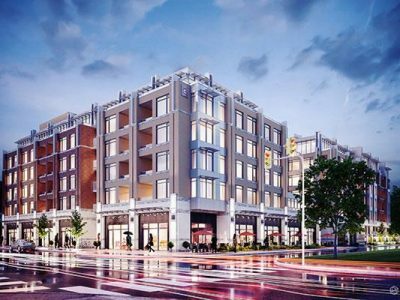 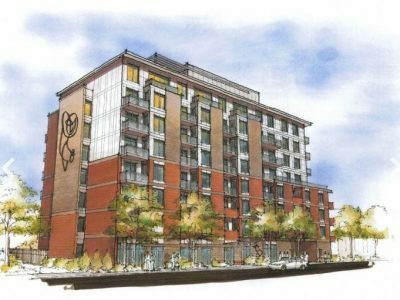 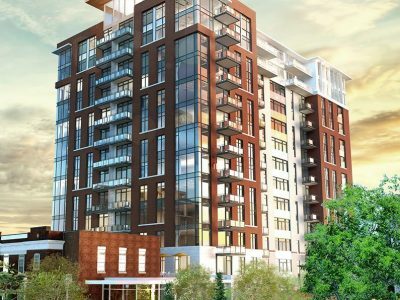 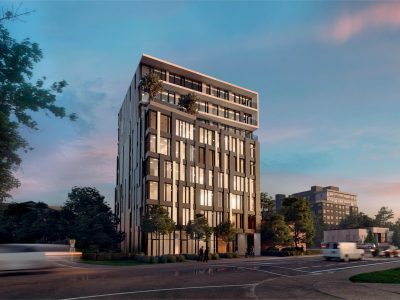 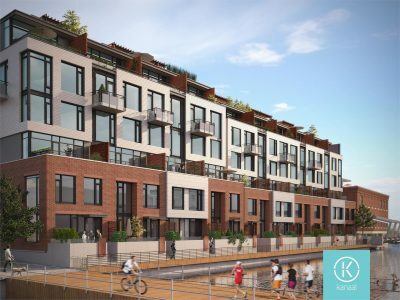 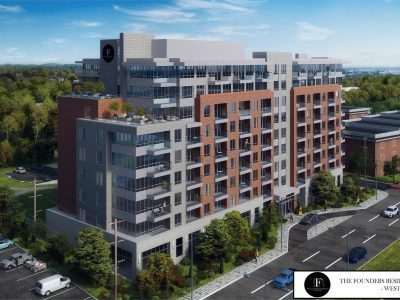 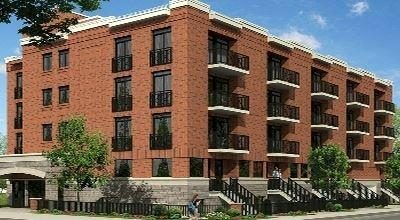 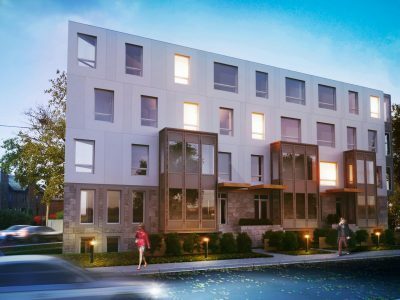 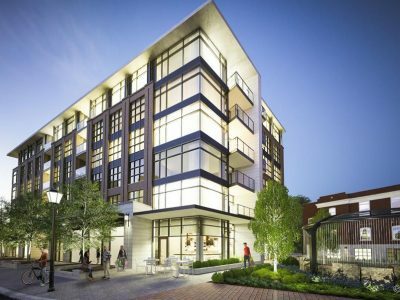 The Queen Elizabeth Condo Ottawa is currently under construction along Queen Elizabeth Dr in the Glebe neighbourhood in Ottawa. 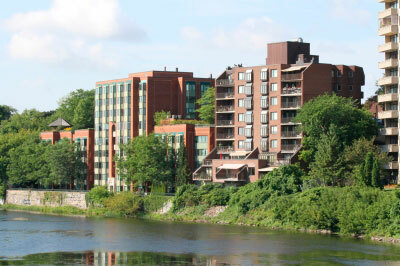 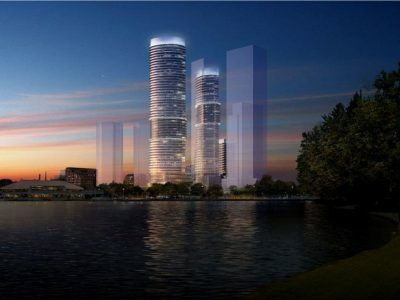 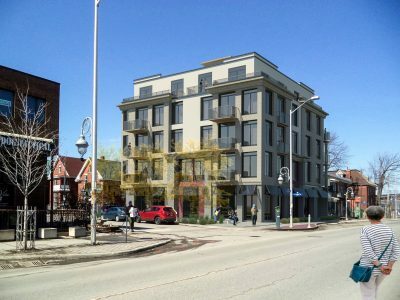 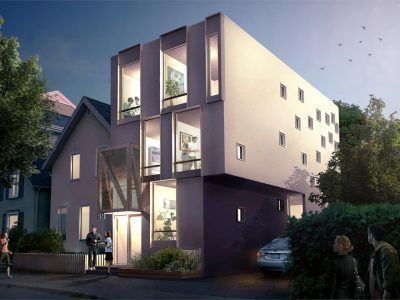 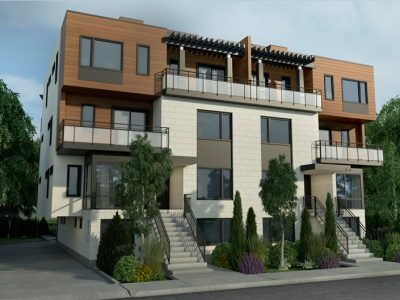 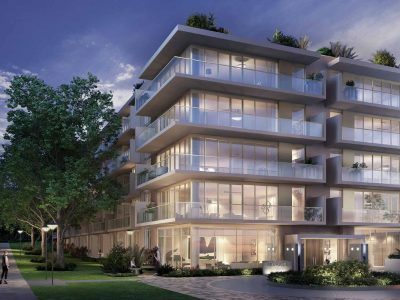 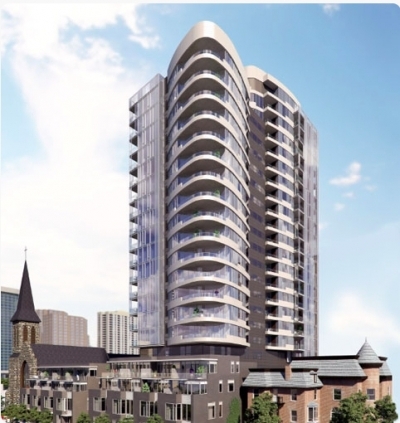 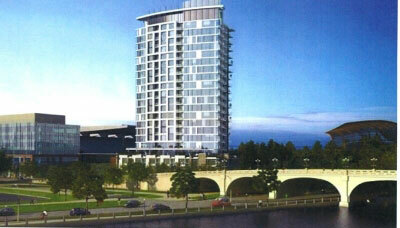 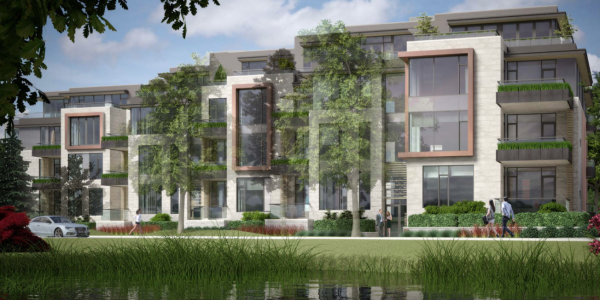 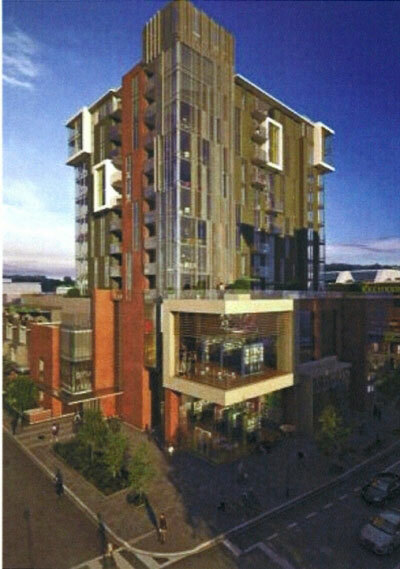 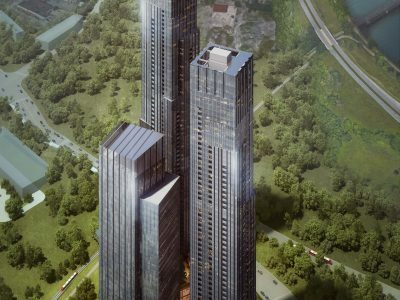 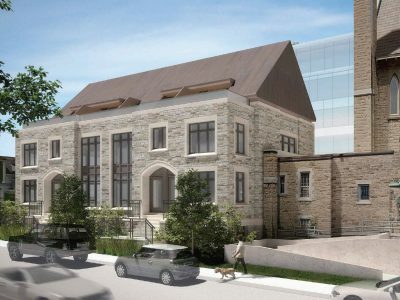 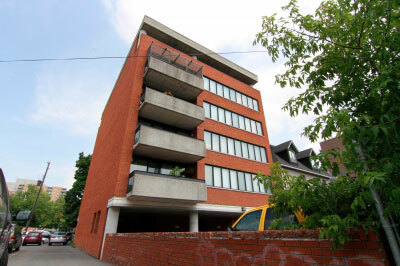 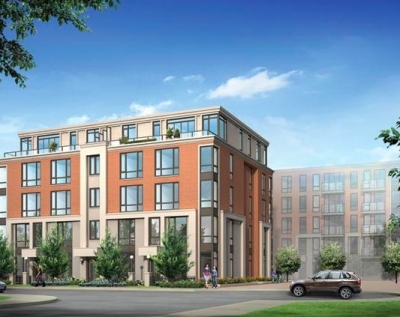 It will contain just eighteen luxury residences located in the Glebe, facing the Rideau Canal. 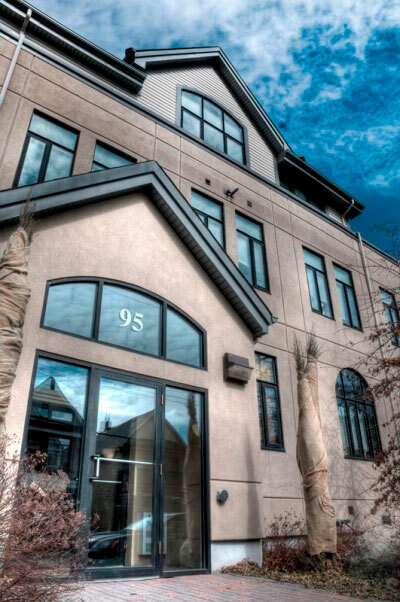 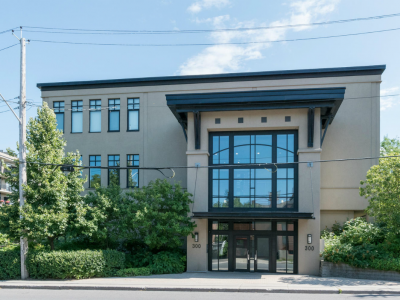 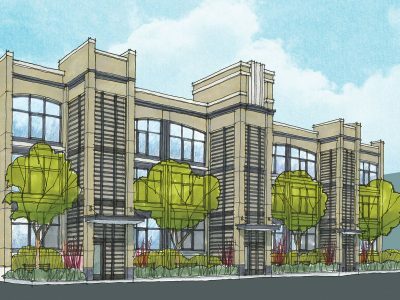 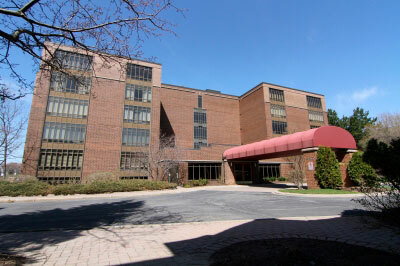 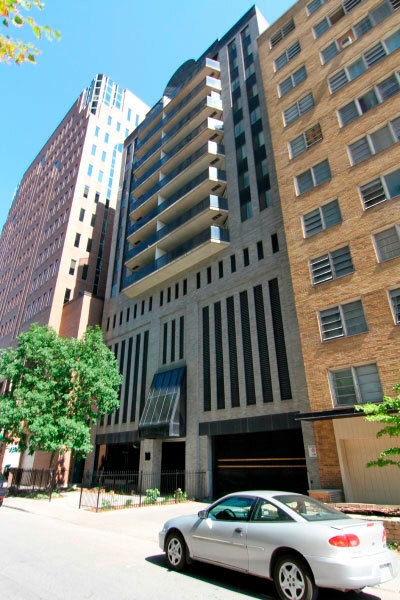 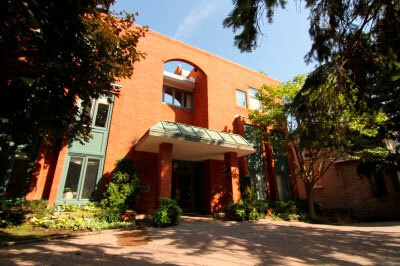 This building was developed by Roca Homes with architecture done by Barry J. Hobin and associates. 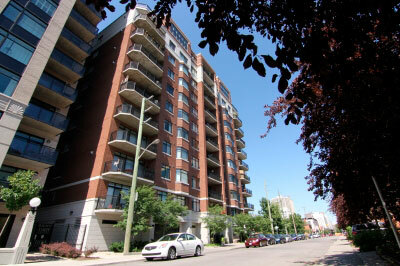 This neighbourhood is beautifully maintained. 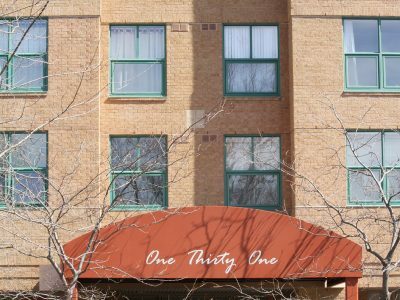 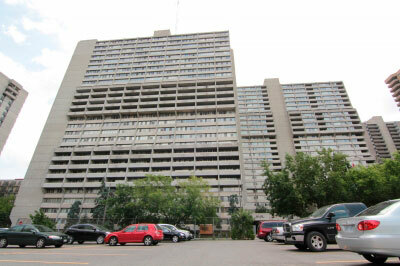 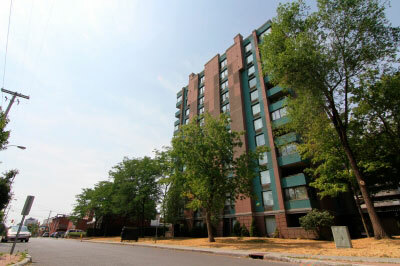 The area is surrounded by treed lawn and is accessible by car via Fourth Avenue. 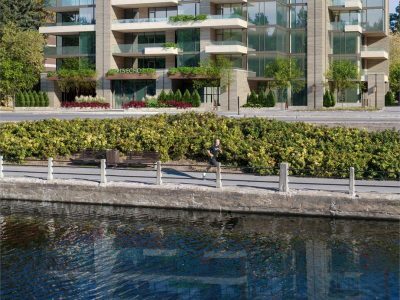 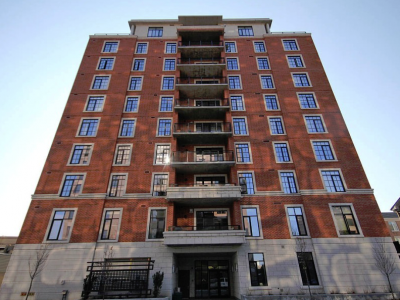 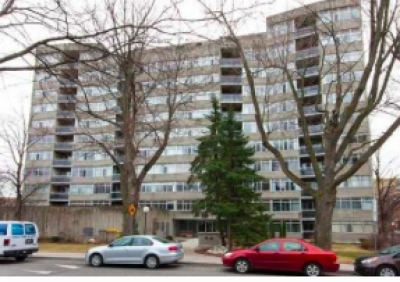 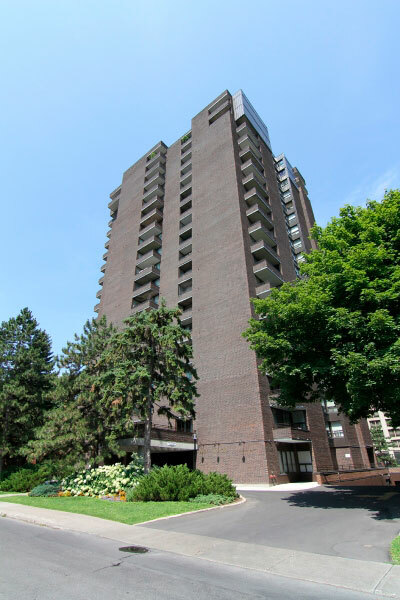 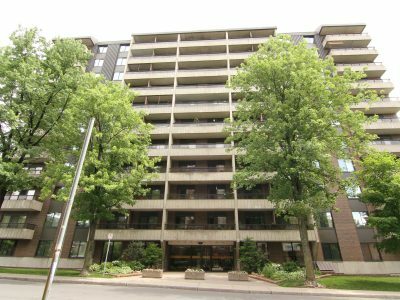 Residents can enjoy the Scenic Parkway, Queen Elizabeth Driveway, that is a quiet escape from its urbane locale and follows the Rideau Canal. 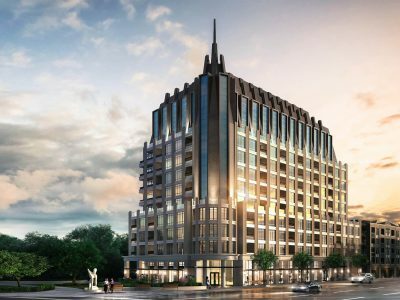 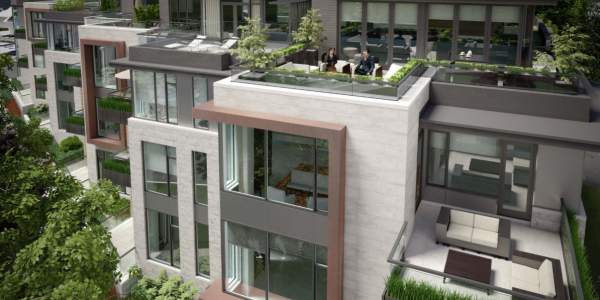 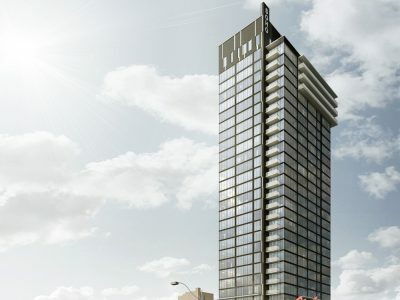 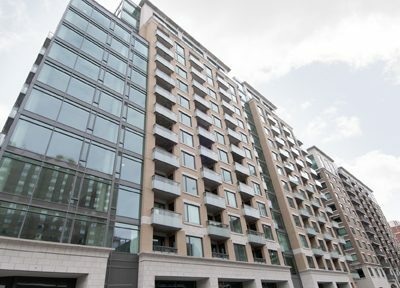 The Queen Elizabeth Condo Ottawa allows residents to customize their floor plan to fit their lifestyle with access to private outdoor terraces and sun filled interiors. 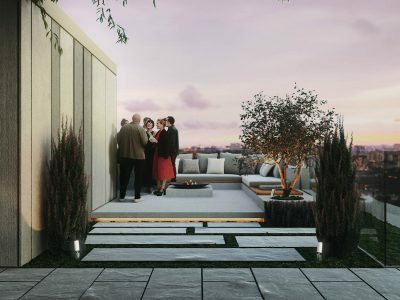 Each custom design takes full advantage of the natural surroundings, uniting the best of indoor and outdoor living, in the heart of Ottawa. 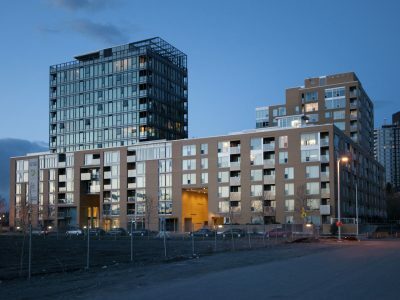 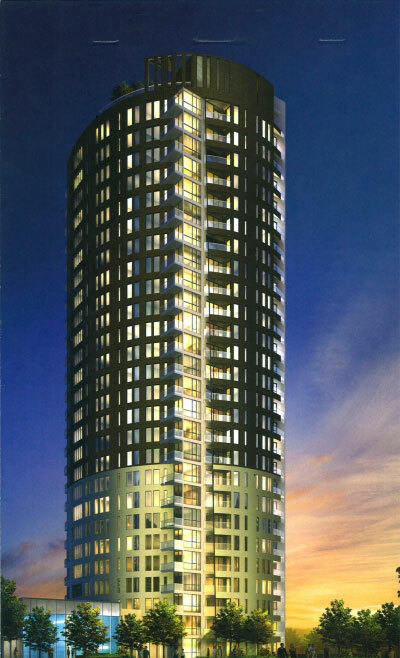 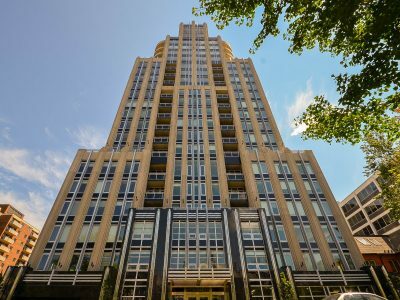 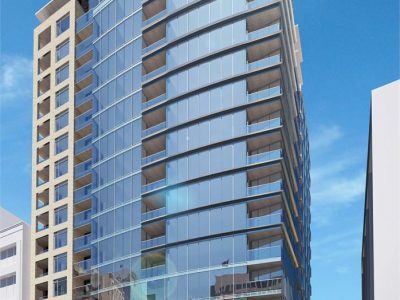 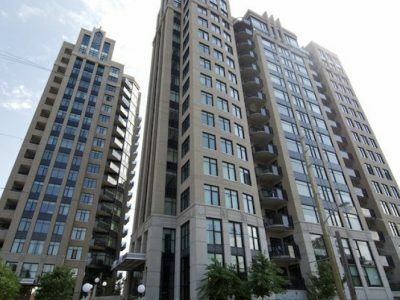 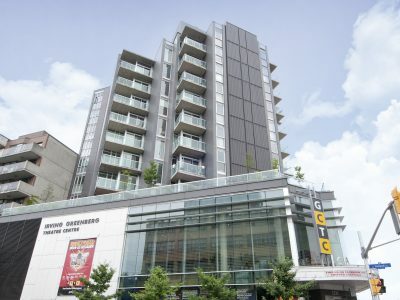 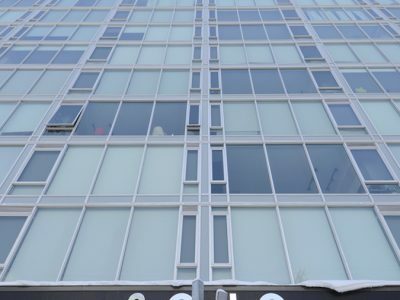 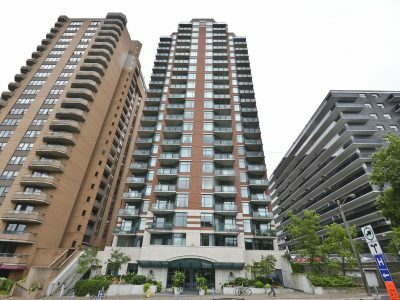 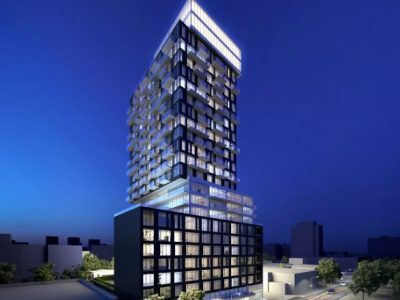 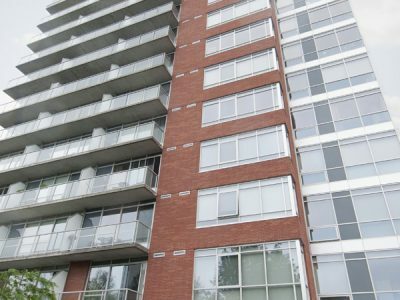 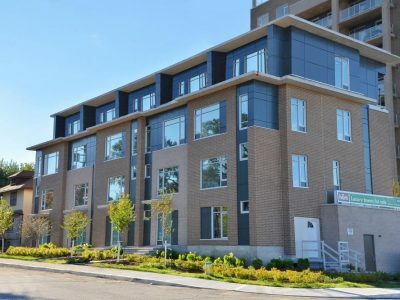 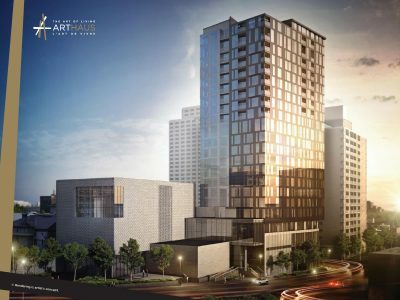 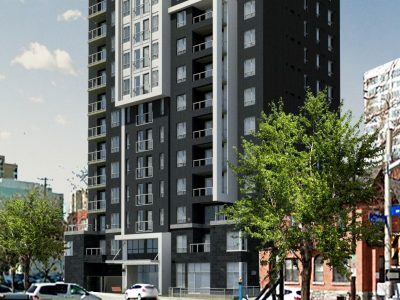 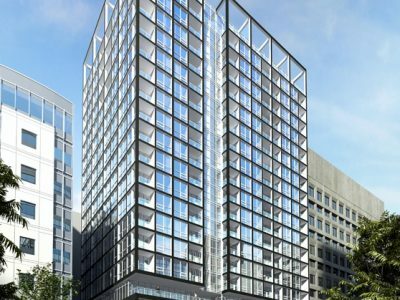 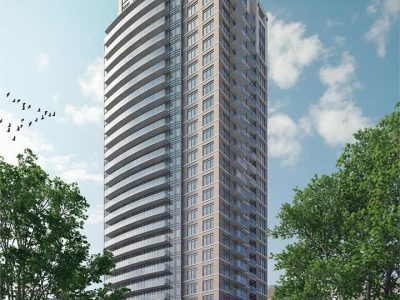 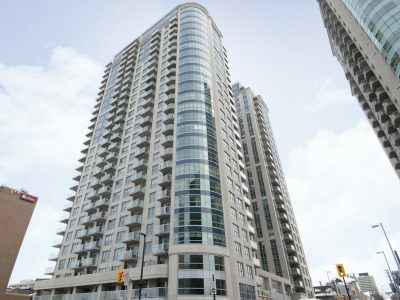 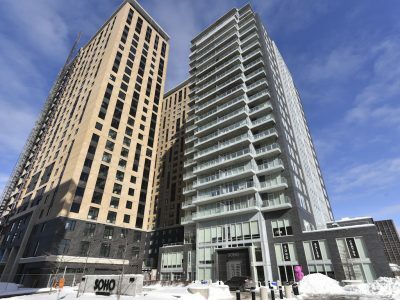 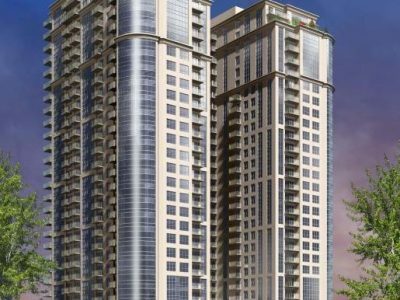 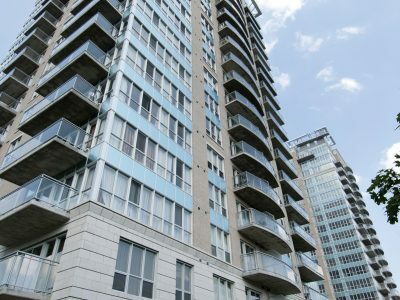 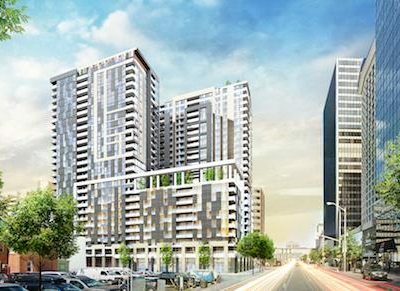 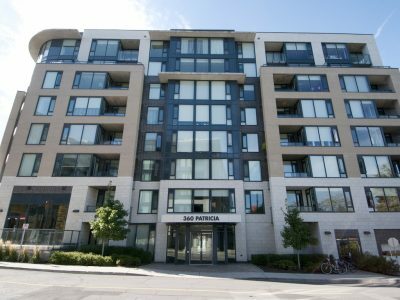 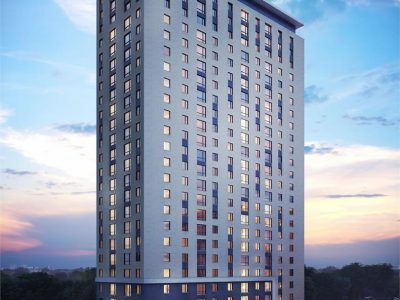 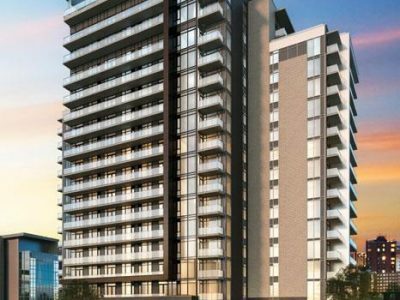 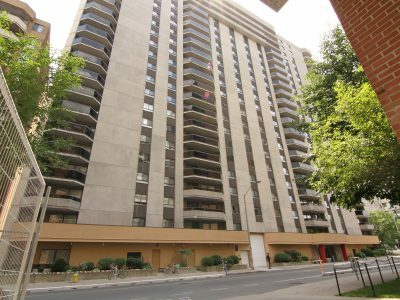 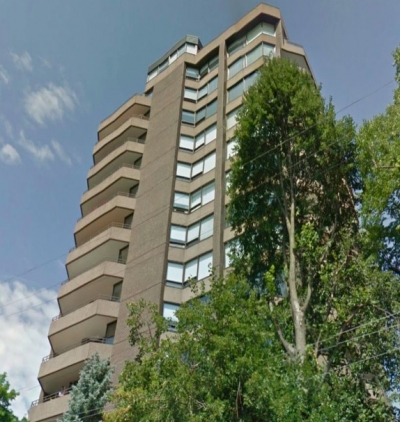 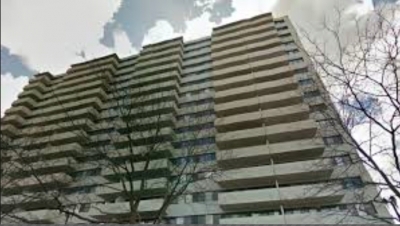 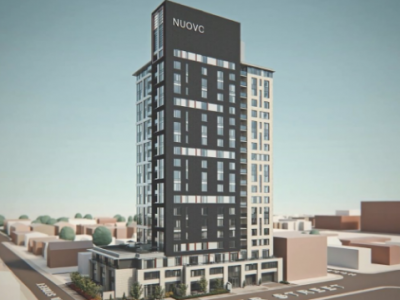 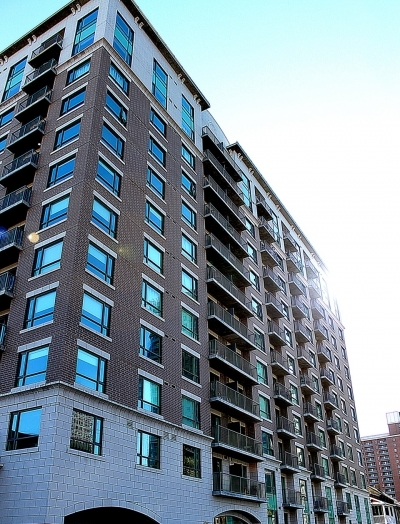 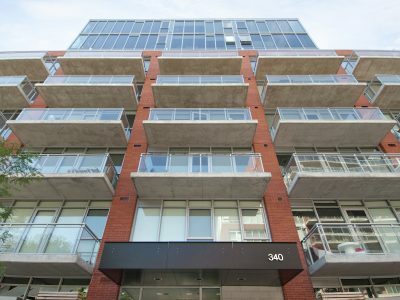 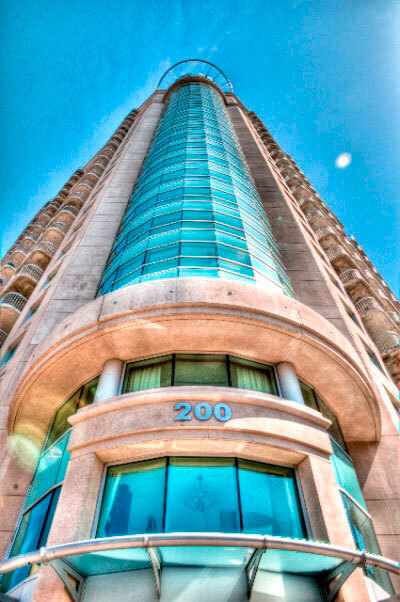 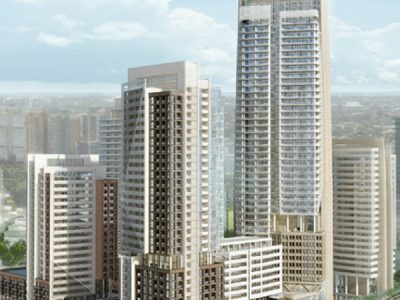 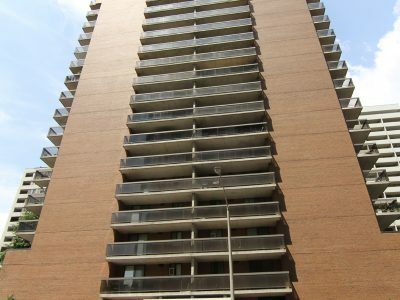 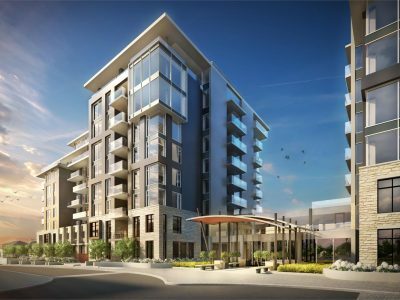 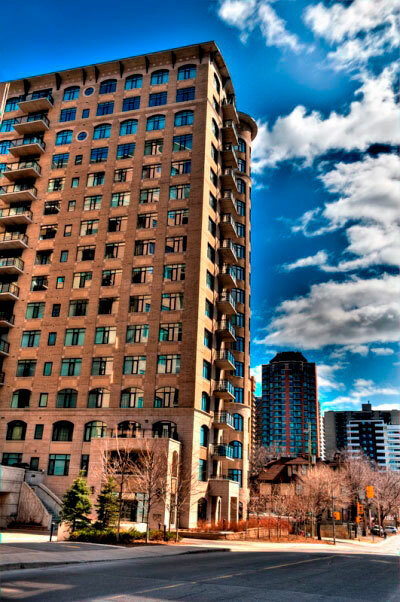 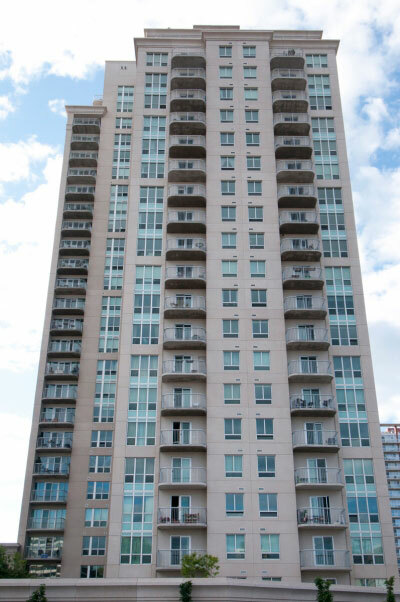 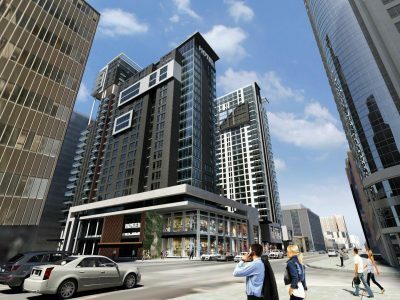 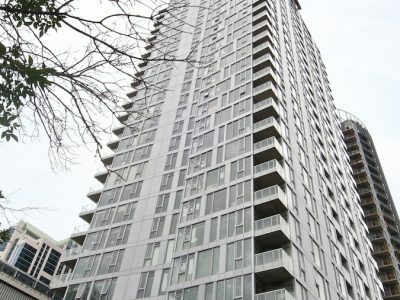 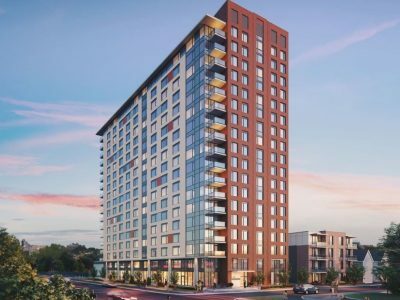 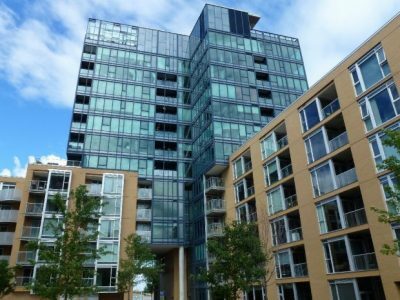 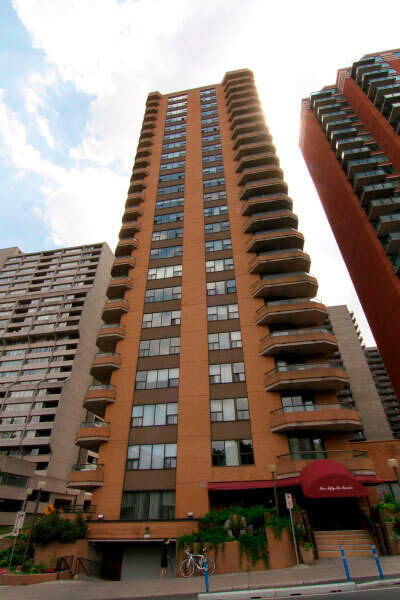 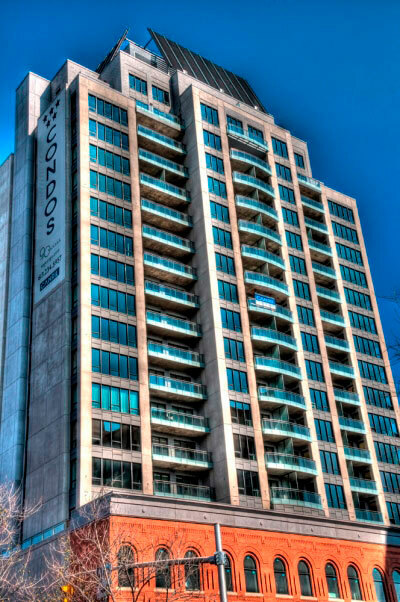 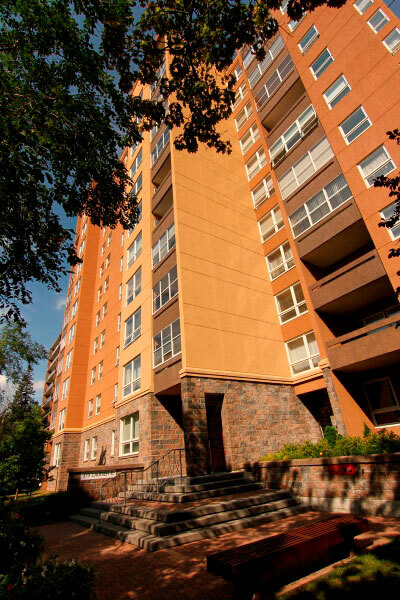 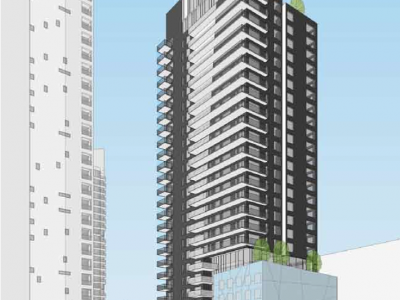 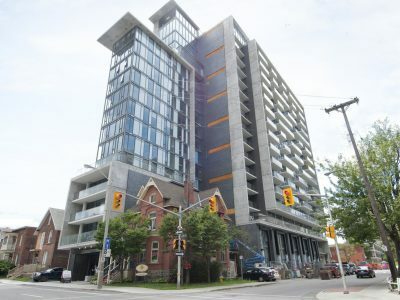 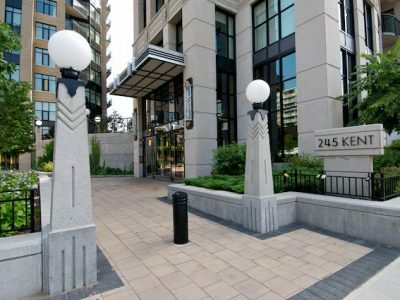 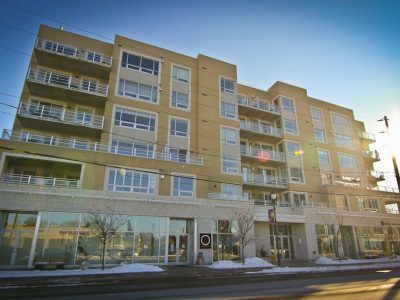 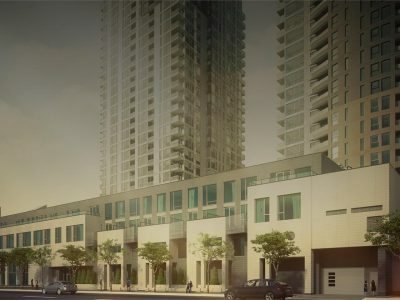 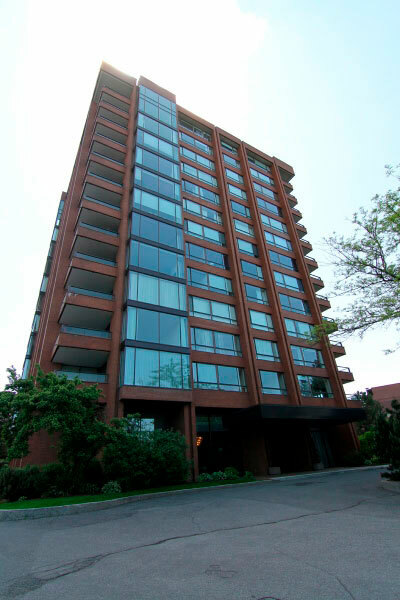 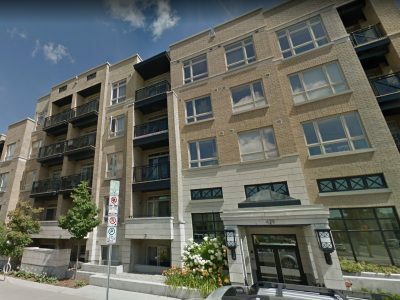 The Queen Elizabeth Condo Ottawa also offers you custom fabricated kitchens, home automation pre-wiring, an elegant master ensuite, ten-foot ceilings, elevator entry directly into your residence and underground parking spaces. 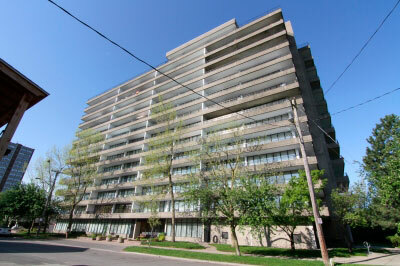 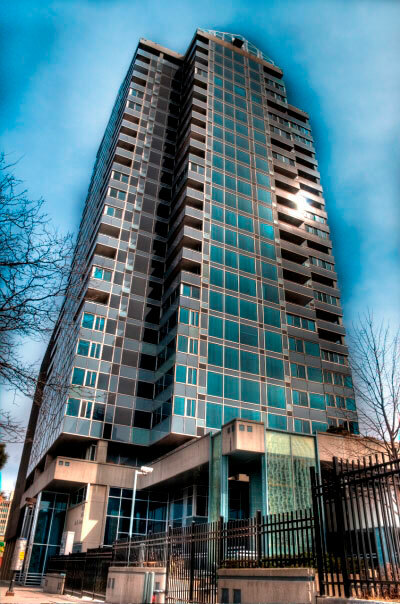 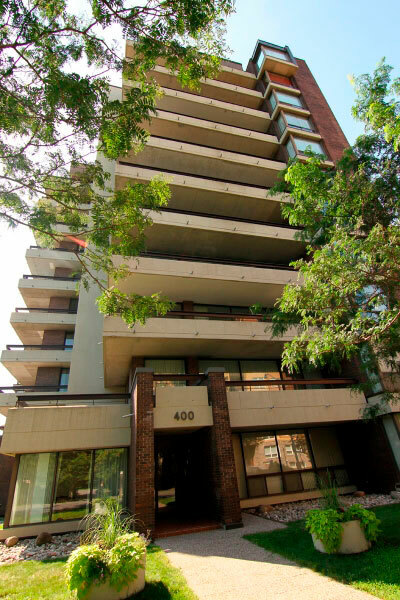 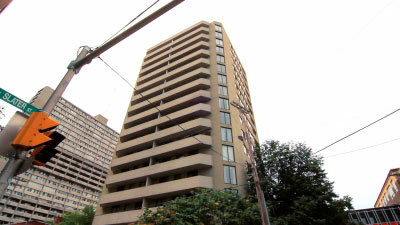 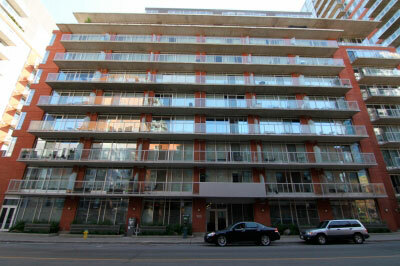 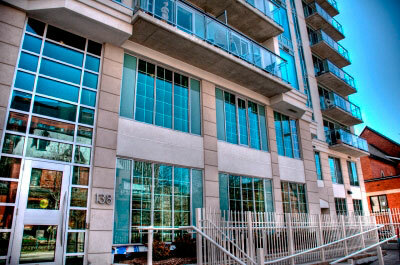 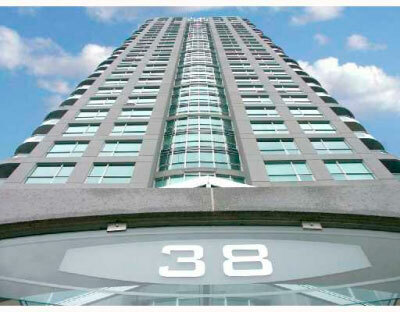 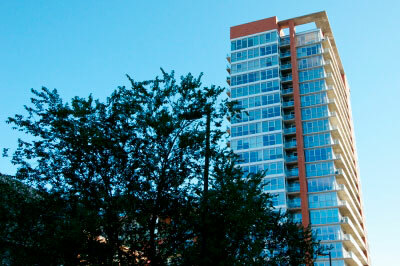 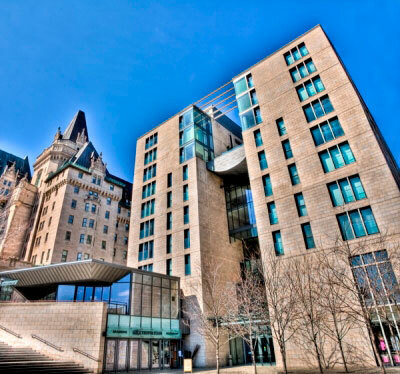 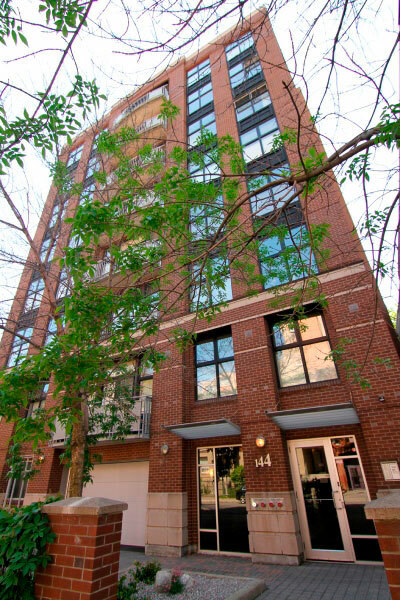 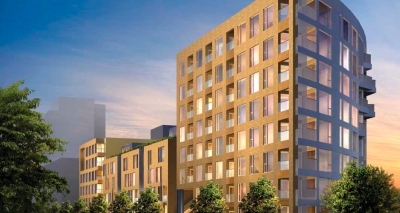 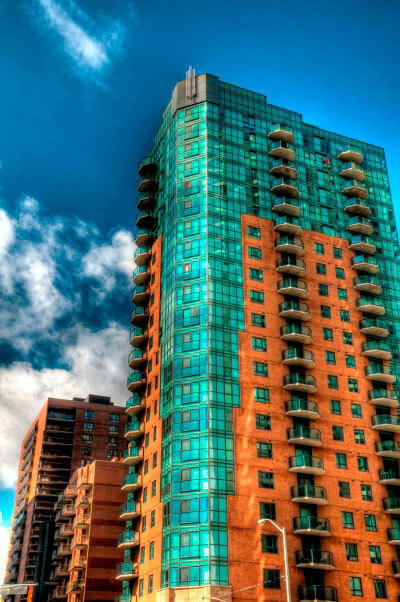 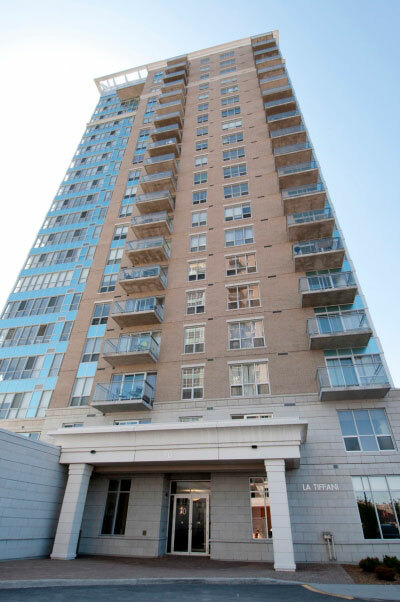 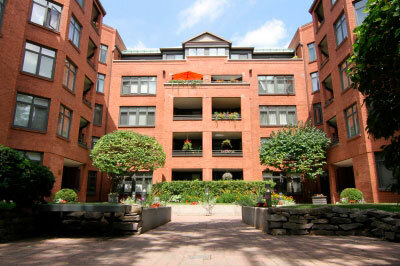 The building maximizes views to the canal and parkland and offers beautiful views on each of the private terraces. 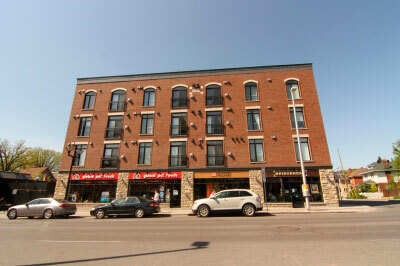 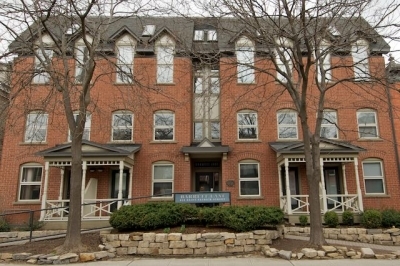 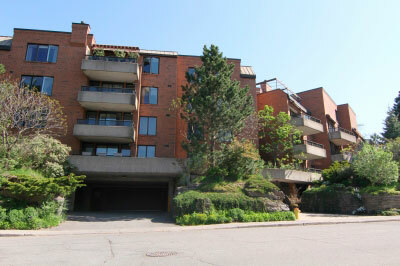 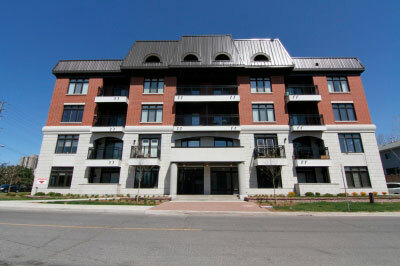 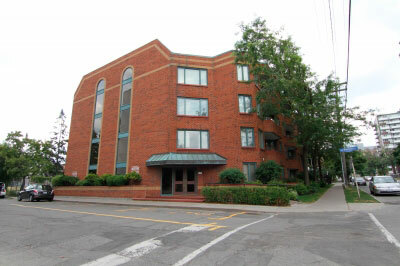 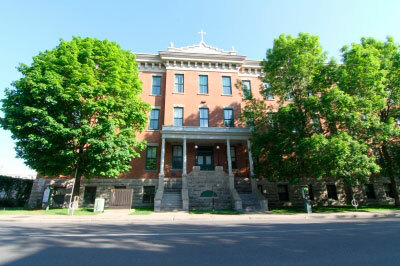 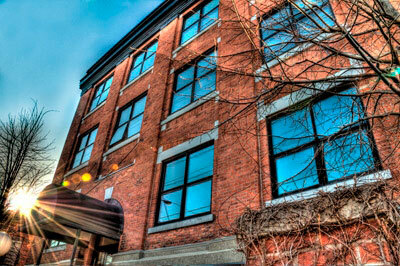 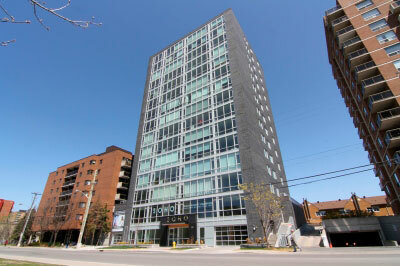 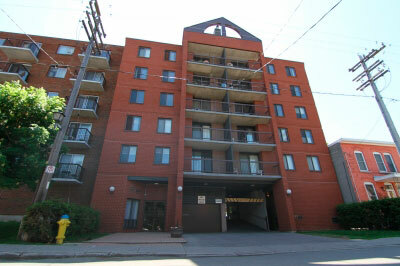 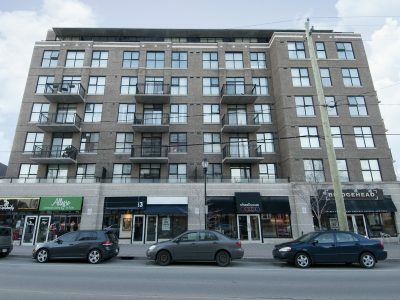 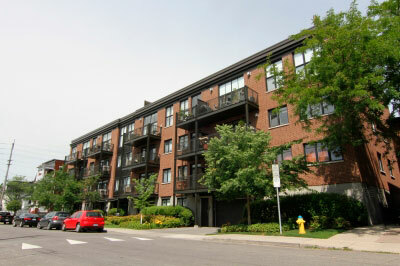 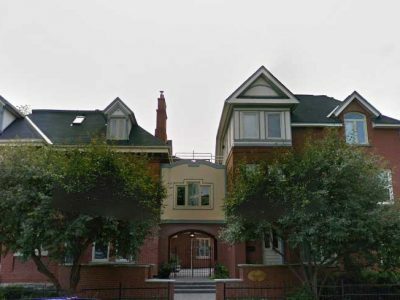 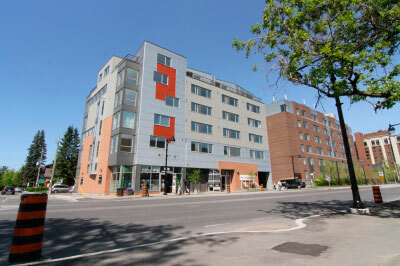 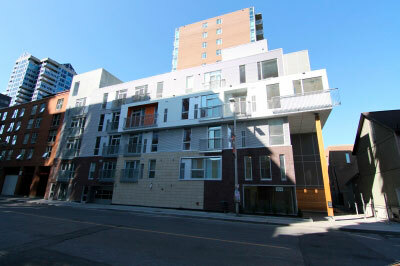 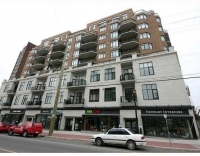 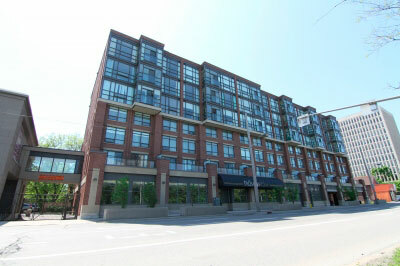 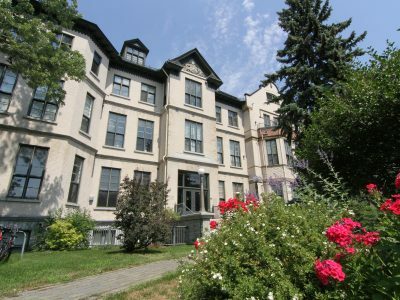 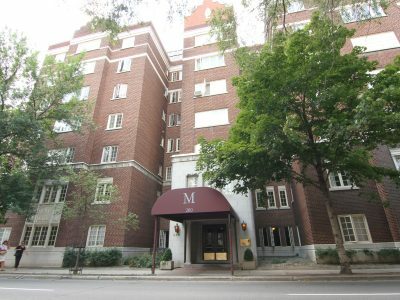 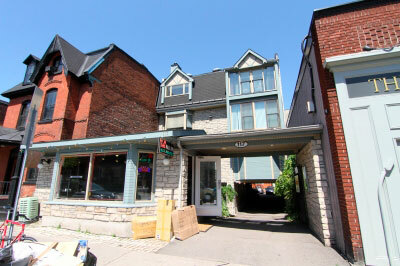 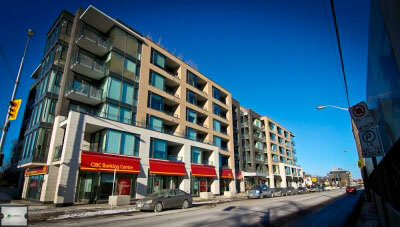 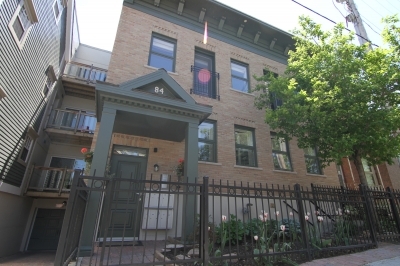 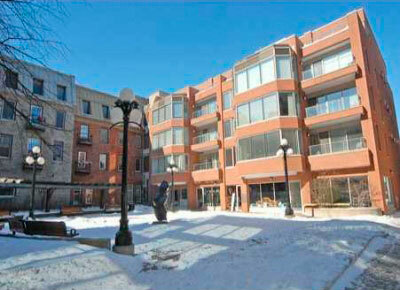 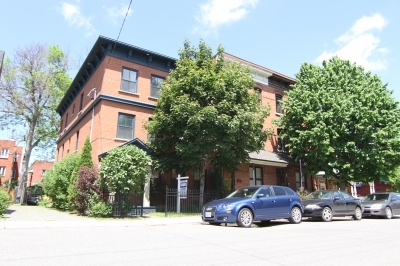 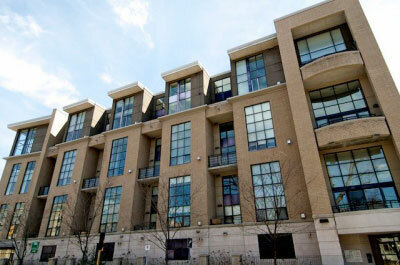 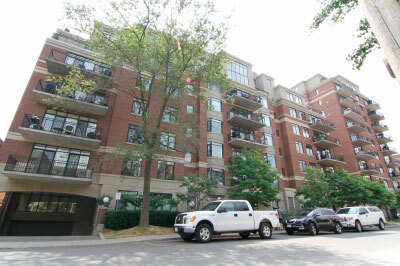 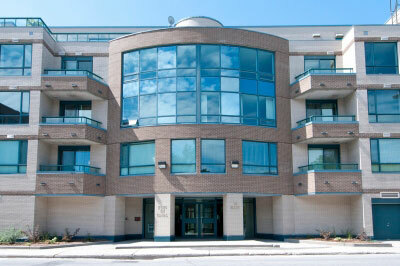 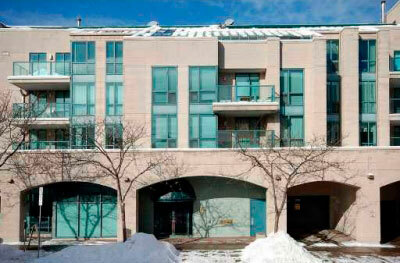 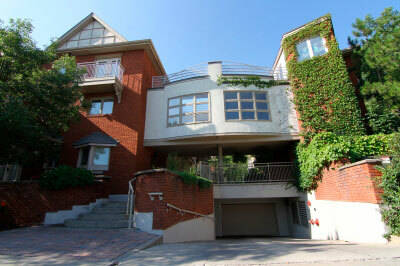 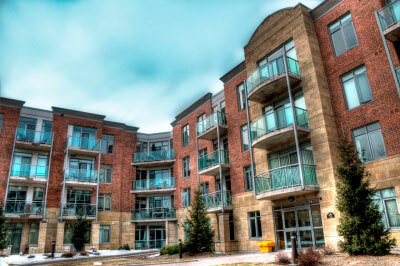 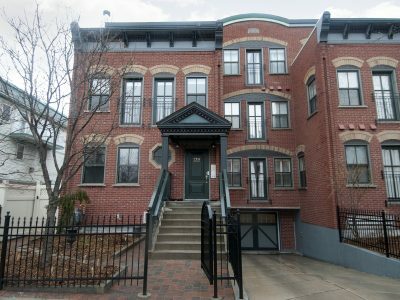 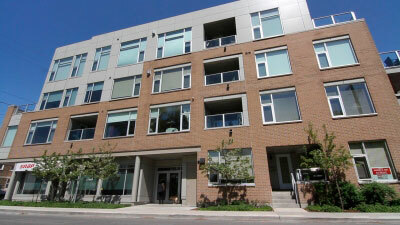 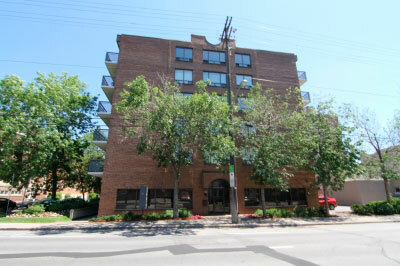 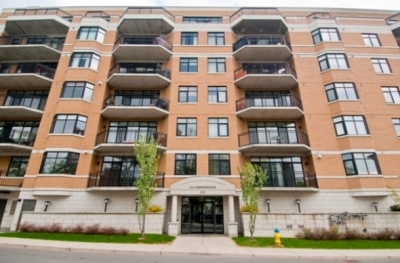 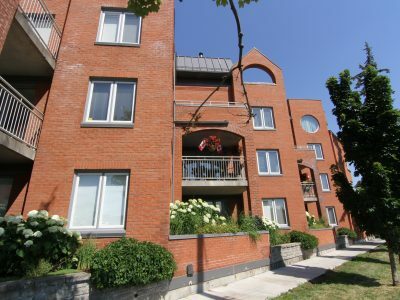 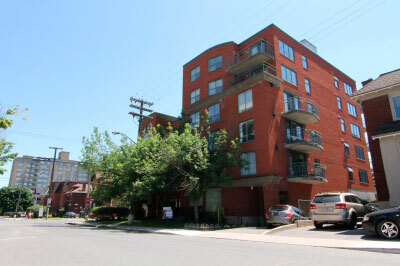 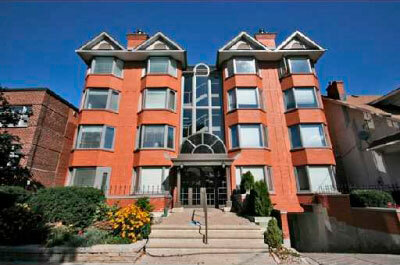 There are also many boutiques, restaurants, and charming homes throughout the Glebe offering a needed small town feel. 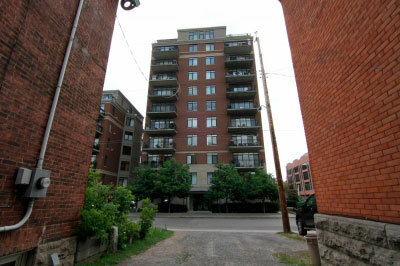 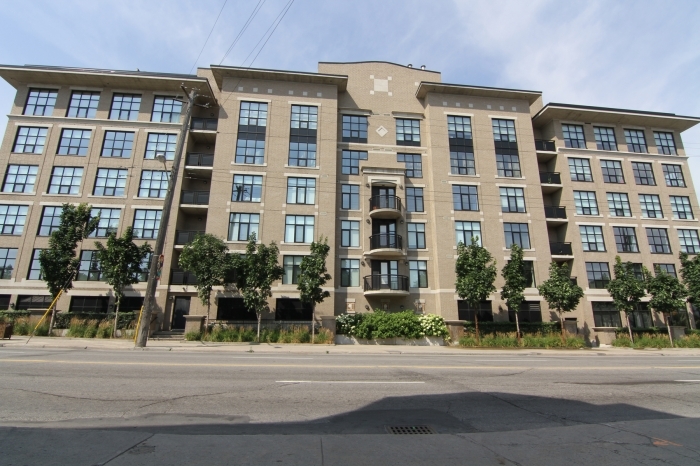 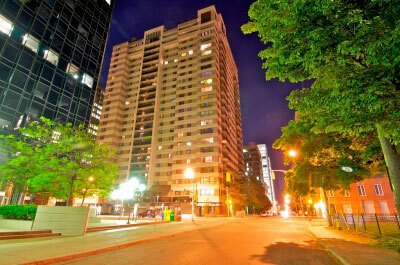 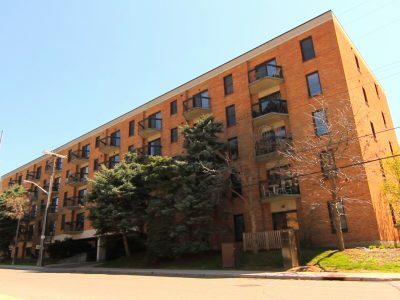 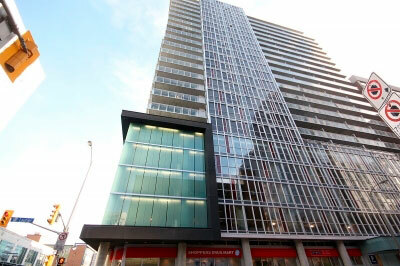 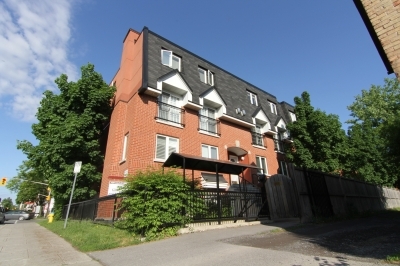 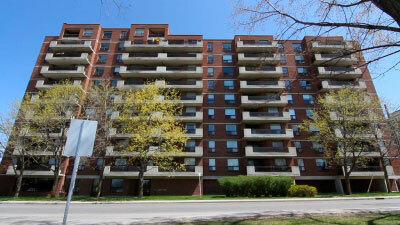 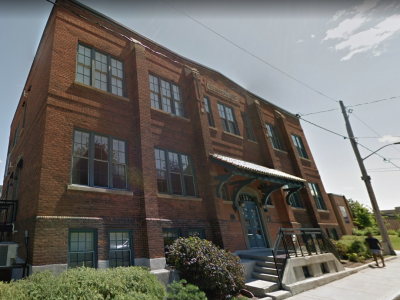 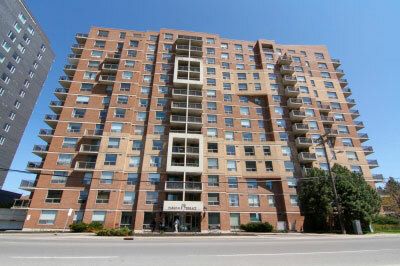 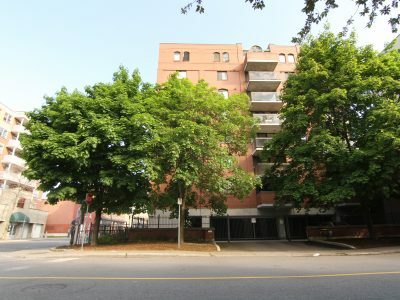 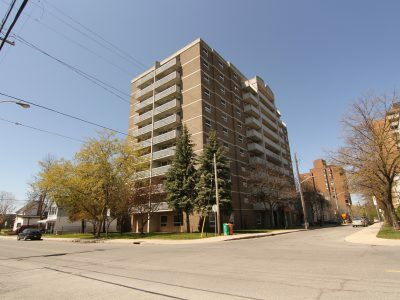 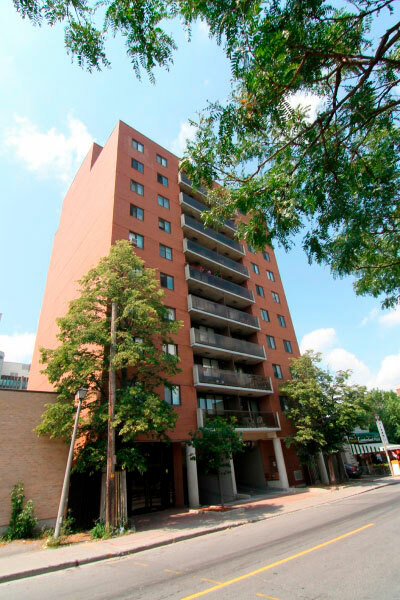 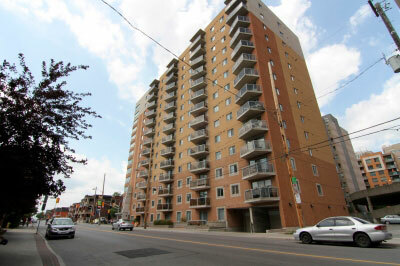 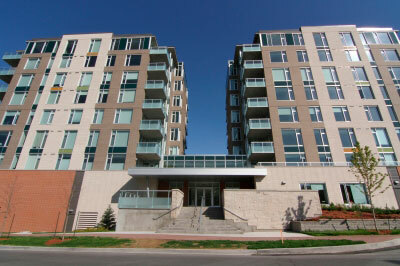 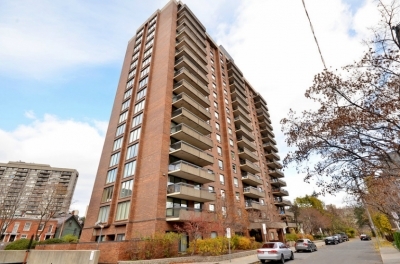 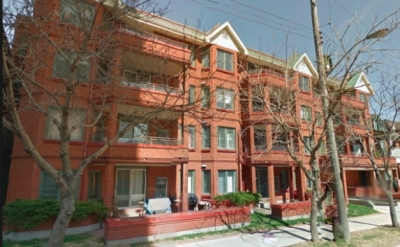 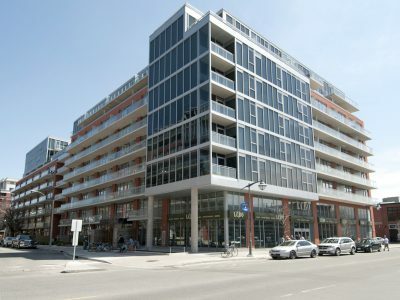 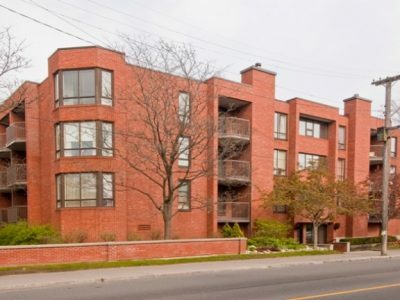 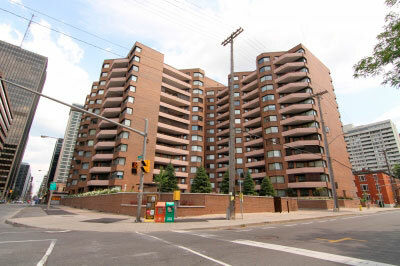 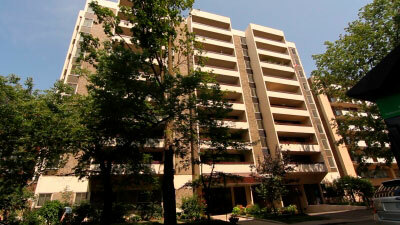 Just a block away, residents will also find Lansdowne Park. 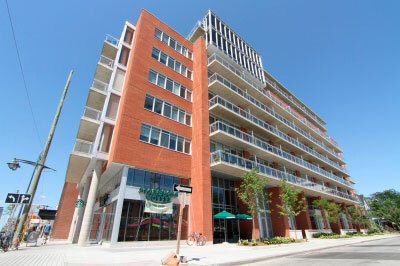 Lansdowne is the perfect place for nightlife, sporting events at TD Place, music festivals and many community events. 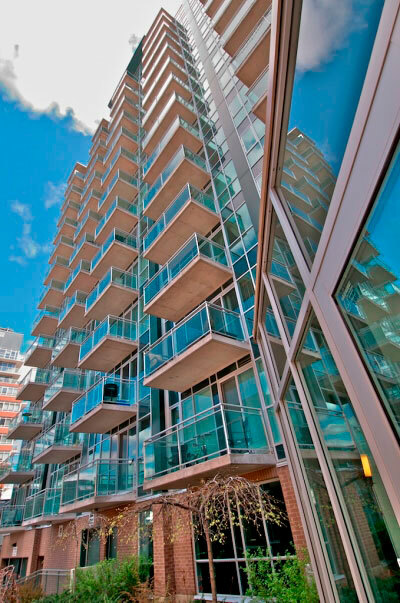 Residents can enjoy delicious Italian cuisine and Canal views right at their front door at the Canal Ritz. 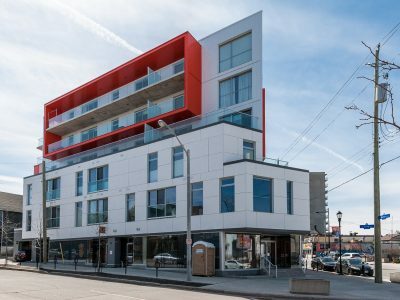 Whether it be in Little Italy, China Town or Centretown, residents are sure to enjoy all the local restaurants, cafes, shops and much more. 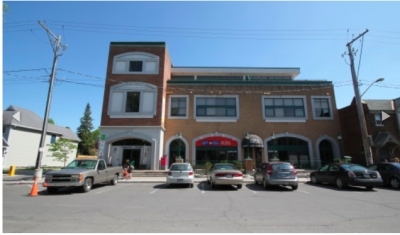 On Bank Street, residents will find grocery stores, a pharmacy and many shops and restaurants. 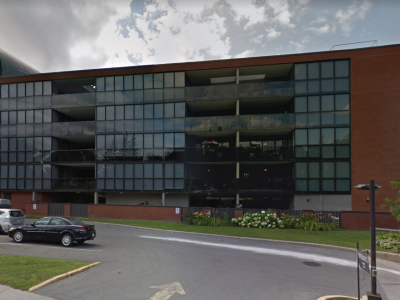 A short drive away, residents can head to the Dominion Arboretum and the Canadian Agriculture and Food Museum which are also next to Carleton University. 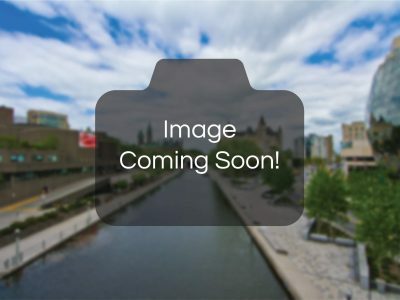 Visiting Dow’s Lake is always a must during the tulip festival and a great place for a walk or even a kayak ride along the Canal.